I head South to Sera de Monchique to explore the mountains in the south west of Portugal and to taste the local honey or ‘mel’ in Portuguese. I highly recommend the train (takes about three and half hours from Lisbon) and my stop, Saboia, a sleepy little station. I drive up the mountain through breath taking scenery. Eucalyptus, pine and cork oaks are all around me and mountain flowers are speckled across the landscape. More and more fruit trees like orange and lemon and a fruit i’m not familiar with but is very much a part of the mountain – the medronho (arbutus unedo) or strawberry tree as its known. The first thing that hits me is the clean fresh air and I drink it in and any stress I might feel ebbs away. I’m usually not a fan of floral honeys but the Monchique area is so beautiful and honey is a big part of mountain culture. You see hives dotted all over the mountains so I wanted to find out more. Rustam and Tamzin invite me to their home nestled in the hillside, down a track off the road to Foia (the highest point in the Algarve). Looking out over stunning views all the way to the sea my hosts serve up a tasty lunch as they tell me their story. They moved to the Algarve five years ago and realising there was an abundance of mountain honey they connected with local beekeepers and set up Wild About Honey. They share their passion for raw honey and the provenance and after lunch we sit and taste the beautiful gold stuff. There are a variety of taste profiles and notes, mono-floral’s and poly-floral’s and we examine the colours, texture and discuss the health benefits. I tasted some really good honey and truly believe you can learn a lot about people and a place through its honey. Rustam and Tam are passionate about what they do, working fairly with the beekeepers helping to bring their local artisan honeys out to the rest of the world. Tasting a selection of honeys with carob, thyme, pine, medronho and even ‘hive scum’ (doesn’t sound nice but its full of goodness with left overs from the hive, propolis, honeycomb etc). Tasting the trees! Granulated pine honey. An old hive made from the cork tree, the old way! From there I head into Monchique, a pretty Portuguese town nestled in the hillside and I walk the steep narrow roads to the top of the town to the 13th century convent. Its is in pretty bad repair but stepping inside was like stepping back in time. There is a caretaker who grows vegetables in a patch outside and he looks after the hens that wonder around the ruin. He sells the eggs but what caught my eye was a single jar of honey standing on a makeshift shelf. I made my purchase and took my leave. Its well worth the walk, especially through the avenue of old oaks to get there. The last jar of honey! 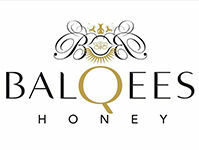 Continuing my exploration of honey in the Monchique area I heared about father and son beekeepers who supply medronho (mel a medronho) and rosemary honey (mel de alecrim) to the local shops. Their company is Melaria Pe da Cruz. There are around 10,000 apiarists in Portugal and the number is growing. The south is particularly conducive because of the climate and clean air. I meet with 27 year old Joao Joaquim at their family premises where they bottle and distribute their honey. Father, Jose Nunes Joaquim quietly works away cleaning and seeing to the frames as he maintains the boxes. Its time for cake and my trusted guide, Suzanne Radford, leads me up the donkey steps to Ochala, a vegetarian cafe run by Isobel. The fine building was her family home. Serving home cooked food her apple pie is to die for! But its her homemade baklava that surprises me the most. The origins of baklava dates back to the Ottoman empire and its certainly a sweet we are familiar with in the Middle East. Have to say Isobel, your baklava is one of the best I’ve tasted! Delicious baklava with a light filo pastry, chewy nut filling and a drizzle of honey over the top. Yum! Thanks to Suzanne for showing me the Sera de Monchique mountains. I will definitely be back!